Aventura has several projects underway and more being proposed as the condo construction trend continues. The reduced condo inventory and the increase in demand from cash buyers has prompted lenders to begin financing projects once again. The developer of Echo Aventura has obtained roughly $105,000 in financing to build a two tower project with 190 units on the Intracoastal Waterway front. Nearly two weeks after obtaining the financing, construction began on the pair of proposed 11-story Echo Aventura towers that are slated to be developed in the 3200 block of Northeast 188th Street, just south of Aventura Mall. Other projects under construction are the Bellini at Williams Island and Marina Palms Yacht & Residences. Two more projects, one planned, one proposed, are Puerto Aventura and Prive Aventura respectively. According to recent data collected from the Regional Multiple Listing Service, new construction home sales have increased from 2012 to 2013 in Coral Gables, with more new construction homes selling within the first 3 quarters of 2013 than all of 2012. With inventory of resale properties for sale being steadily low, new communities are being developed to meet the demand in the Coral Gables area. With lack of available land, builders are developing smaller communities or redeveloping existing communities. Some current new construction communities include Gardens on Valencia luxury townhomes, Casa Andaluzas and Casa Sevillanas by Riviera Development, Snapper Creek Lakes by Landstone Builders, and Cotorro Villas by Poinciana Homes. According to recent data collected from the Regional Multiple Listing Service, new construction home sales have increased from 2012 to 2013 in Doral, and additional new construction communities are being planned to meet the current demand. New communities in the Doral area include The Isles at Grand Bay by Lennar, Doral Cay by Terra Group, The Townhomes of Downtown Doral by Codina Partners, Landmark by Lennar, Monaco by Lennar, Modern Doral by Terra Group, Oasis Park Square by Shoma Group, Condos at Cityplace by Shoma Group, and more. According to recent data collected from the Regional Multiple Listing Service, new construction sales in the Kendall area have increased from 2012 to 2013. New communities include Kendall Square and Venetian Park by Lennar, as well as Century Gardens by Wechsler Development Group. Fueled by foreign investors looking to invest their money in U.S. real estate the City of Miami is experiencing a resurgence of new construction in every price range and in just about every neighborhood. According to Condo Vultures LLC, there are over 118 condo towers proposed in the Miami area including 35 under construction. Miami’s high-end condo market is particularly thriving in neighborhoods like the Brickell Financial District, The Design District, Mid & North Beach areas, South Beach and Downtown. The new growth comes in many different styles and price ranges. Potential buyers will be able to choose from luxury condo-hotels, 2 story loft –style buildings, and waterfront high-rises to name a few. 41 towers are being proposed for downtown alone and will add over 16, 000 new residential units. Pricing with vary with some buildings starting as low as $250,000 to well over $30,000,000. Affordable luxury in an elegant, gated community located in one of the most desirable areas in South Florida. Impeccably designed single family residences situated in a maintenance-free landscaped vista across an expansive 148 acres. Minutes from schools, Aventura Mall, unique dining, fabulous entertainment, sporting venues, two international airports and the golden sandy beaches situated between Miami and Fort Lauderdale. 5 minutes from Aventura and 10 minutes from Sunny Isles Beach. As predicted by Condo Vultures and subsequently reported by the Miami Herald a year ago, Sunny Isles Beach has emerged as the “epicenter of South Florida’s condominium boom”. At this time last year, plans for six new condo towers were being developed and it hasn’t stopped there. Hard to believe that this sleepy little beach town that was created as a city only 15 years ago could be such a hot bed of construction activity, particularly luxury condominiums. In an effort to prevent another “boom and bust” developers are scaling down their projects in size but not in luxuries or amenities. They feel that building a 100 unit ultra-luxury project will attract the wealthier cash buyer and will be easier to sell. Whereas building a 300 unit project for the middle-class buyer will be more difficult to sell as these buyers typically need financing. This reasoning is evident in some of the recent projects completed or near-completion such as the Porsche Design Tower, Mansions at Acqualina, Regalia and 400 Sunny Isles. One proposed project is the Unique building to be located at 17141 Collins Ave. This 42 story building is slated to have 64 units. 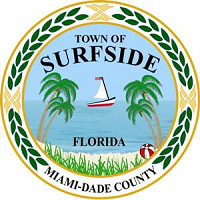 Currently there are two new condo projects being proposed for Surfside. The first one is Chateau Ocean, an 85 unit, 12 story building located at 9365 Collins Ave. The other one is Surf Club Condo located at 9011 Collins Ave and expected to have 285 units. The Surfside, Bal Harbour, Bay Harbor Islands area has become one of the hottest for local and international developers with regard to new construction. Nearly 1,000 new condo units in this tri-city area are being proposed, showing a strong sign of improvement in the new/pre-construction market.